Zagipa Balieva, Commissioner for Children’s Rights in the Republic of Kazakhstan, requested that the country’s attorney general and minister of health find out why the child victims of the toxic poisoning in Berezovka have not been properly examined or treated for nearly two years. 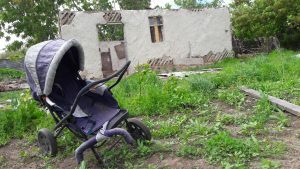 As became known today, children’s ombudsman Zagipa Balieva sent inquiries to Kazakhstan Prosecutor General Asanov Zhakyp and Health and Social Development Minister Tamara Duysenova with a request to look into the inaction of the authorities in providing medical examinations and treatment for the children of the village of Berezovka, located in the West Kazakhstan region, which was affected by emissions from the Karachaganak oil and gas field due to an accident in November, 2014. Balieva’s letters came as a response to the appeal sent in July by Rosa Akylbekova, director of the Kazakhstan International Bureau for Human Rights and Rule of Law (partner of the Children or Oil? coalition) and the working group coordinator of the NGO “For the Protection of Children’s Rights.” In her appeal, Akylbekova, a well-known human rights activist, lamented the inaction of state bodies of the country in the examination and treatment of Berezovka children. The mining companies that are members of the Karachaganak Petroleum Operating BV consortium (KPO), including Eni (Italy), Chevron (USA), BG Group (now part of Shell Netherlands), Lukoil (Russia) and KazMunaiGaz (Kazakhstan), also have not make efforts to ensure that medical examinations and treatments would be available to the children, says Akylbekova. At the same time, it became clear that the Investigation Department of Kazakhstan Ministry of Internal Affairs has not yet responded to the requests of human rights defenders to identify which Russian authorities were asked to help conduct examinations. The requests of human rights activists were sent in March and in May. “We support the actions of the Commissioner for Children’s Rights, and our coalition partners, and we will closely monitor the situation, which is becoming more like an attempt to forget about the criminal case and poisoned children of Berezovka,” says Sergey Solyanik, Crude Accountability consultant, co-coordinator of the Children or Oil? coalition.